Naziki was imported from the Democratic Republic of the Congo by Katie Campbell, Taji Basenjis, in 2011. In addition to bringing genetic diversity, Naziki has an outgoing and friendly temperament that she passes on to her children. 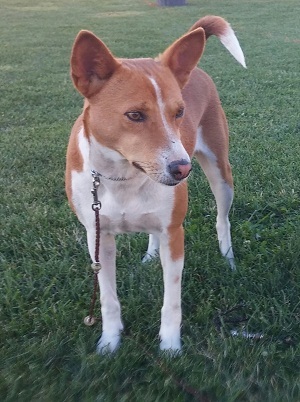 She completed her AKC Field Champion easily, notably winning Best of Breed at the 2013 Basenji National Lure trial! 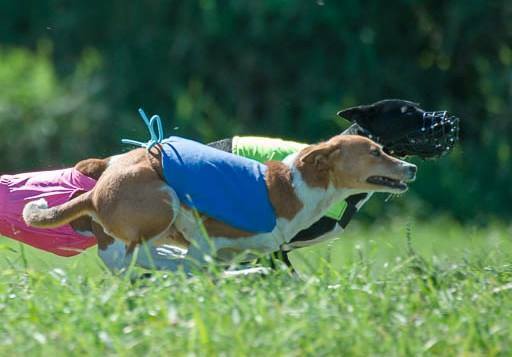 Two of her kids from her first litter (Disa and Chief) also quickly earned their field championships, with Chief winning the all-breed National Field Championship in 2014 – the first Basenji to ever win this annual national competition. Makindu is very pleased to be allowed to lease Naziki from Katie for this litter.